Makenzie continues to do really well! We had a somewhat uneventful weekend which is very nice sometimes! We went over to some friends house on Sat. evening and had a great time! It was past Kenzie's bedtime though so I thought I would lay her up in bed and see if she would go to sleep or maybe just have a bit of quite. I put her in the middle of the bed on her side and walked out of the room. Not a good plan! I grossly under estimated her rolling abilities! Yep... she rolled right off the bed! I felt horrible but at the same time so glad that I can say she is moving and I can't do that anymore!! WOW! Yeah God! After our little mishap Makenzie got a FULL body rub down by my friend who happens to be a massage therapists! (Thanks Jessa) Makenzie turned into a jello baby! She was really, really loose! It was great! Now I just need to clone her so that Makenzie can get a good rub down everyday!!! She showed me how to rub her feet and hands. I have been doing it 2 times a day and her hands are sooo much looser! WOW! I massage Makenzie all the time but knowing exact places is helpful! I am sure her therapists have showed me before but somewhere I missed that information! I went to Makenzie's school today to talk to them about school for the summer. I explained to them my concerns about the long break. It will be even longer for Makenzie because we will be in CA for suit therapy until the middle of October. That is a VERY long break (June-Oct) for a kid that thrives on structure! We didn't get anything resolved but we are going to keep talking and try to find a resolution! There are preschools that run off of the track/year round schedule so my hope is that she can attend one of those until we get back at the begining of October! 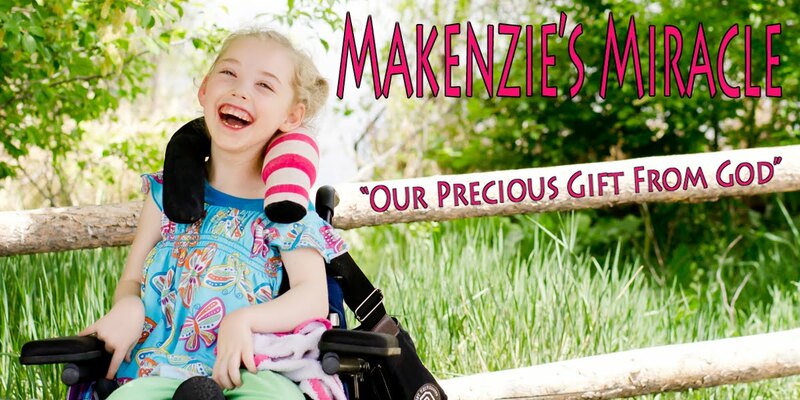 Please pray that God would open doors and help Makenzie get the services she needs! We have another meeting tomorrow at the school with her teachers and therapist to discuss a few other things. It is so hard to stay on top of Kenzie's needs as they are changing so rapidly! I love Makenzie's school and trust them to care for my princess! They do a GREAT job and she loves to be there! Please also pray this goes well as we all want nothing more then to see Makenzie heal and grow! Please keep praying! We see the power of all of your prayers every day!!! Believe.... Prayer Works! I am so excited to be reading about Makenzie's improvements! GO Makenzie GO!